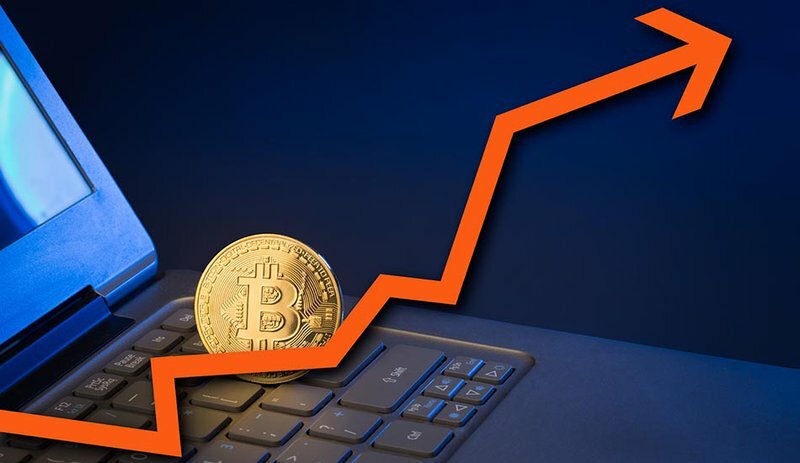 In our last discussion of the bitcoin market, an emphasis was placed on the $7,000 support level because it represented a historic point of interest and it showed strong signs of support – a break of which would ultimately prove to have a strong downward move following afterward. Figure 1 shows a breakdown of the $7,000 support level, ultimately timed with the Last Point of Supply (LPSY) for this distribution phase. The LPSY represents the final, overwhelming abundance of supply in the market. As the price pushes lower, the supply outweighs the demand in the market and, as we are seeing in the current market, there is very little desire to buy at these prices. Figure 2 shows the rejection of the linear ascending resistance line (shown in pink). This trendline has historically proven to be a point of reversal and, at the time of the article, is rejecting the trendline for the fourth time. 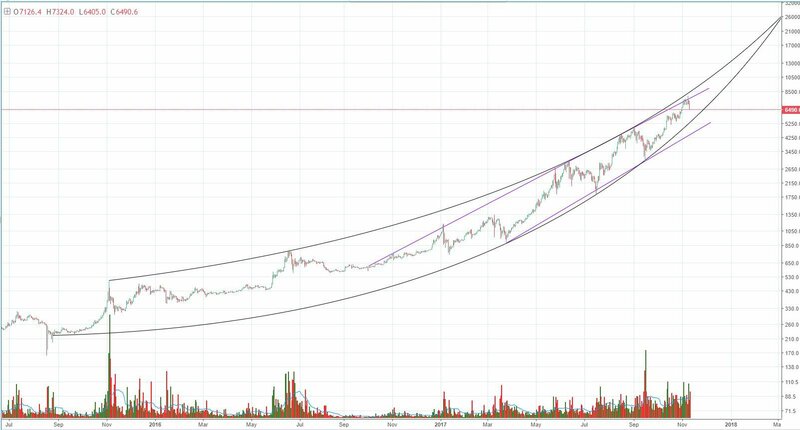 If we follow the correction trend, we can expect an ultimate test of the lower parabolic curve that has proven to be support over the course of the last two years. 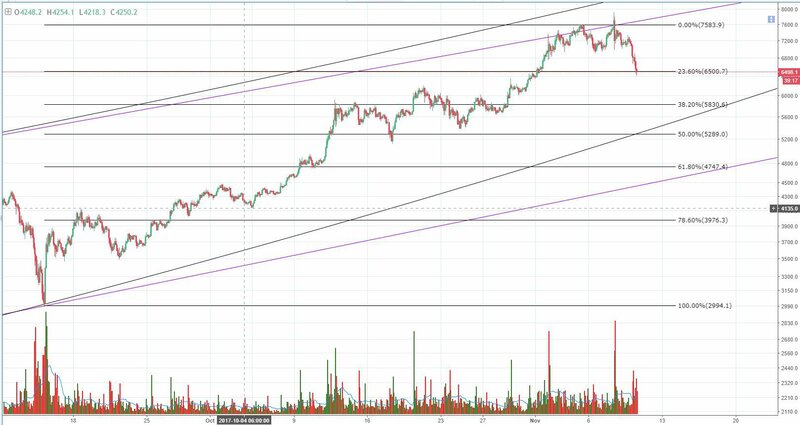 As predicted in the previous bitcoin analysis, we are currently finding support along the 23% Fibonacci Retracement values in the lower $6,500s. Historically, these values haven’t proven to be a significant market value, so I would not at all be surprised to see a test of the 38% values sometime soon. Figure 3 shows a lot of market activity and a well-established baseline of support in the 38% values. If the 23% values break and don’t hold support, we can definitely expect strong support in the 38% values that will require multiple tests if it tries to break the 38% support. 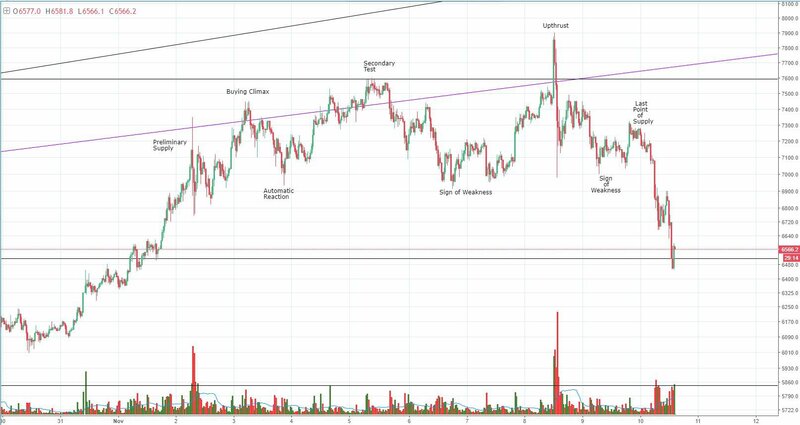 Bitcoin broke below the $7,000 support level and ultimately completed a Wyckoff Distribution phase. Prior to the breakdown in price, the market rejected the historic resistance line, which has signaled a strong reversal point throughout the market’s history. We are currently finding support on the 23% retracement values, but ultimately the stronger support will be found on the 38% values in the $5,800s.